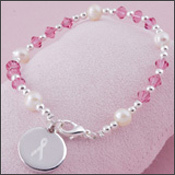 Be sure to show your support in ''Tres Chic'' fashion with this beautiful Breast Cancer Bracelet. Adorned with pink Swarovski crystals, freshwater pearls and an engraved charm, it is both classic and modern. 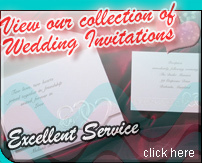 Each bracelet includes a complimentary organza gift pouch.